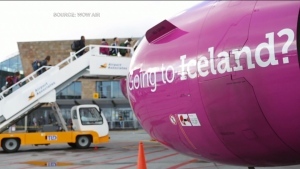 MINNEAPOLIS -- Federal authorities say they have recovered pair of ruby slippers worn by Judy Garland in "The Wizard of Oz" that were stolen from a Minnesota museum 13 years ago. 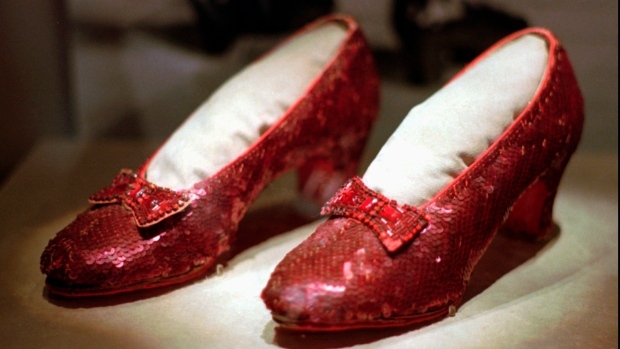 Four pairs of ruby slippers worn by Garland in the movie are known to exist. The shoes are made from about a dozen different materials, including wood pulp, silk thread, gelatin, plastic and glass. Most of the ruby colour comes from sequins, but the bows of the shoes contain red glass beads.